Luis Hernandez made the move from his native Dominican Republic to the United States. Hernandez played three seasons with the Tigers in the minors. He started at rookie Bristol and he ended at rookie Bristol. In between he played at rookie Bristol. Hernandez never made it higher than rookie ball. 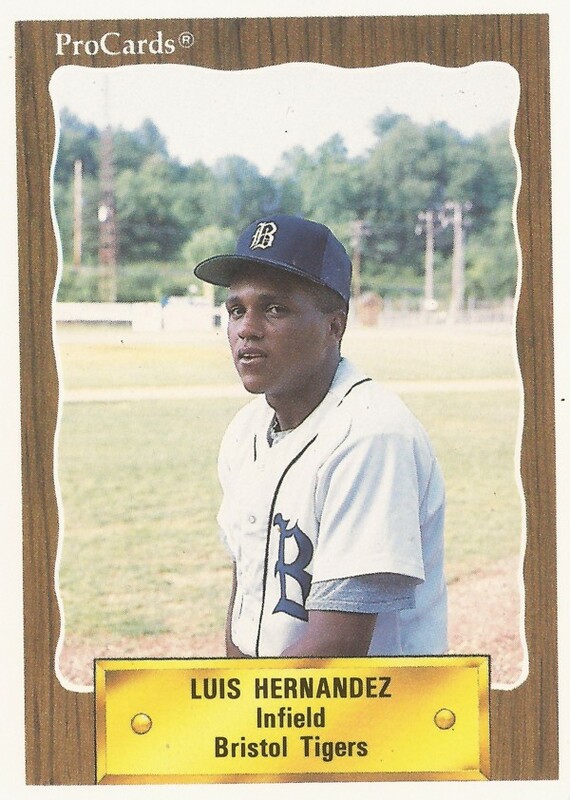 Hernandez' career began in 1990, signed by the Tigers out of the Dominican Republic. Hernandez lived in Santiago and went to Liseo Padre Fantino High School. Hernandez played his first year at Bristol on the infield. He got into 54 games overall, playing 47 of those games at second base. He hit .203, with 11 RBI and seven stolen bases. In his second year there, he got into 43 games, 34 of those at second. He also got time at third. He hit little better, amassing a .215 average, hitting three home runs and knocking in 16. His final season came in 1992 and it turned out to be brief. He played in just seven games, picked up four hits in 25 at bats, ending his career.